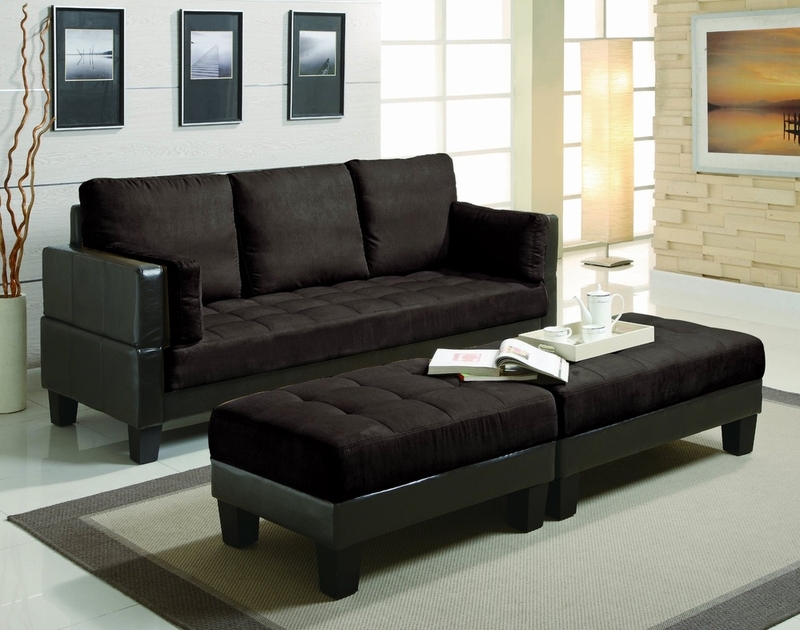 This sofa offers comfortable seating as well as the ability to convert the sofa into a bed. 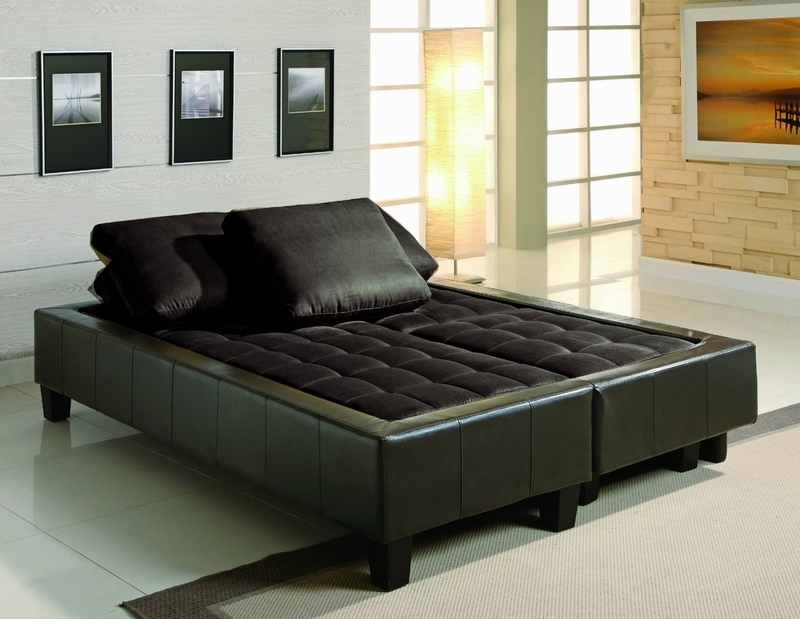 With the included ottomans you can easily add a sleeping solution to your living room when guest stay over. Wrapped in chocolate micro fiber and brown vinyl base.